Contact our Michigan bankruptcy lawyer today to request your free consultation! We have weekend and evening appointments available. At Hensel Law Office, your bankruptcy case will receive the personal attention it deserves. Want to overcome your debt? Let Hensel Law Office, PLLC help. Many families have been forced to endure the consequences of a tough economy, as countless individuals struggle to make ends meet. Whether due to a costly divorce, unexpected medical bills or unemployment, many people are now looking for ways to stay on top of their bills. If you are facing similar financial circumstances, you too may be wondering what steps you can take to obtain debt relief. When you are struggling to maintain financial stability, regaining control over your life may seem like a complicated and lengthy process. 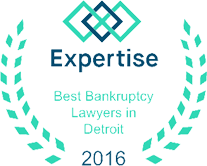 What you may not realize, however, is that filing for bankruptcy is not as complicated as it may seem when you have a bankruptcy lawyer in Michigan by your side. By enlisting the help of an attorney from Hensel Law Office, PLLC early on in the process, we will be able to effectively guide you through this difficult time. Your first step should be to contact a bankruptcy attorney to discuss your case. In doing so, you can rest assured that your concerns will be handled with the level of attention that they deserve. My name is Thomas Hensel, and I serve clients throughout the state of Michigan. When you work with my firm, Hensel Law Office, PLLC, you can rest assured that I will be the only one handling your case. I keep my law office small in order to maintain a secure and confidential atmosphere. By doing this, I am able to provide clients with the level of support they need during this difficult and overwhelming time. In addition, clients are able to avoid having to repeatedly explain the circumstances of their case to various paralegals, assistants or fellow associates. Instead, I am the only one that my clients deal with on a regular basis—which allows me to build strong personal relationships with every client. When working with Hensel Law Office, PLLC, clients can expect to learn about the advantages and disadvantages of filing for bankruptcy. I make it a priority to find a solution that is most appropriate for each clients' specific needs. I understand that bankruptcy is not the right solution for everyone. Instead of taking a "one size fits all" approach to my practice, I create a tailor-made strategy for each and every client. Making the wrong decision, like filing for bankruptcy unnecessarily, may leave you worse off than before, I never takes chances with any clients' futures. I want my clients to feel confident in the financial strategy that is used. As your bankruptcy attorney, I help explain the differences between Chapter 7 and Chapter 13 bankruptcy, answering any questions they have about the bankruptcy process. You made a difficult experience so much easier. Thank you very much for getting us through this very hard time in our lives. His knowledge and expertise made a very difficult time in our lives much easier. Sincerest thanks for all of your help in affording me what I consider a real "fresh start." Mr. Hensel walked me through every step. I understand how difficult this time is, especially if family members and loved ones are depending on you. My goal is to help you overcome this rough patch and start working toward a successful financial future. Help is just a phone call away, so there is no reason why you should wait any longer to secure the qualified legal representation that you will need for your Chapter 7 or Chapter 13 bankruptcy case. By scheduling a free consultation, you will be that much closer to regaining control of your life. Being stuck in the middle of financial turmoil can have an overwhelming effect on all other areas of your life, so you have nothing to lose by get started today. I have been helping clients throughout Michigan to work toward a debt-free future since 1999, so you can rest assured that I have the experience to successfully represent your case. Contact my firm today to start pursuing the brighter financial future you and your family deserve.